Would you use Dragons Blood as part of your beauty routine? I’m just kidding… technically speaking I don’t either! 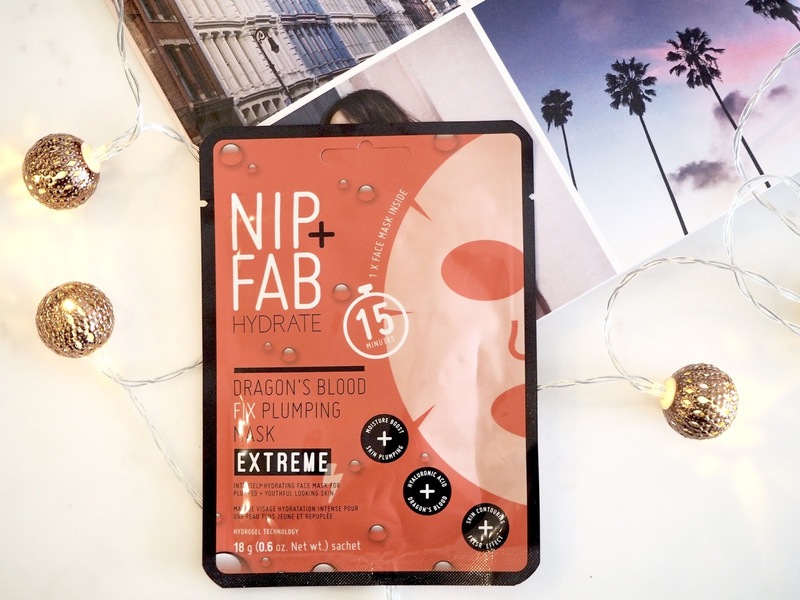 However I have recently tested out the Dragons Blood Fix Plumping Sheet Mask Extreme by Nip and Fab. Nip and Fab is the sister brand of Rodial, founded by Maria Hatzistefanis. 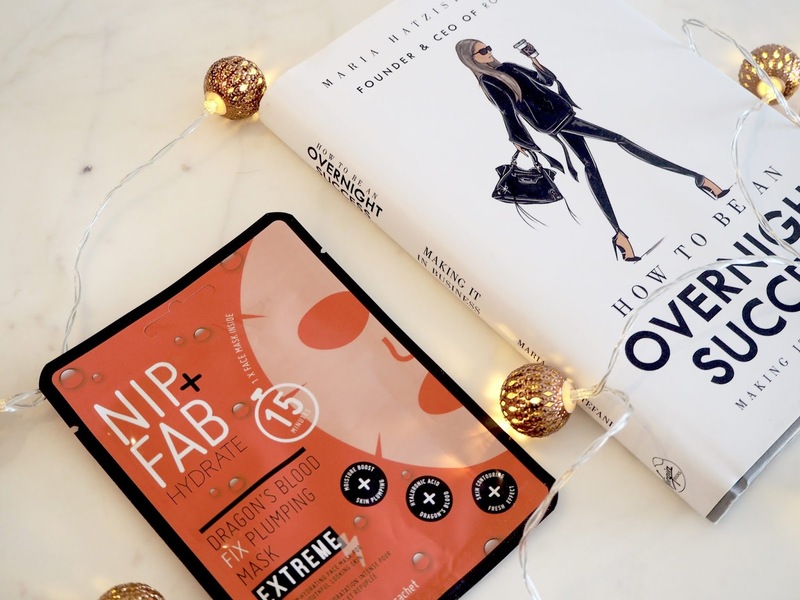 I recently read Maria’s book ‘How To Be An Overnight Success’ where she shares by working hard, and having patience and dedication, how she has built up her now global beauty business. The Dragons Blood range is actually just sap from a tree, rather than what Maria describes as a scene in Game of Thrones. The name sounds much more exciting. So to put it to the test I decided to use the face mask. Its targeted for tired and dehydrated skin and contains highly concentrated plumping hydralonic acid and soothing dragon’s blood extract. I’d definitely recommend to use this before an evening out as it left my skin looking and feeling so radiant. I left the mask on for around 20 minutes (whilst watching The X Factor – Autumn has officially arrived!) and my skin felt fresh and glowing after. Compared to other sheet masks I have used I would say this is great for a lower price bracket. Its currently on offer at Boots for £5.62. 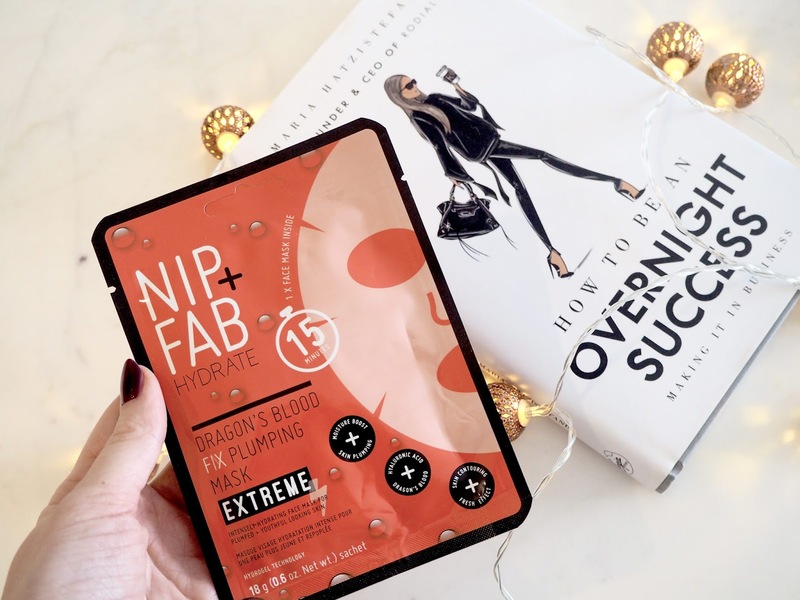 Nip and Fab have many different ranges and also part of the Dragons Blood range is their hyaluronic shot, plumping serum and fix cleansing pads – these will definitely be on my list of products to try out.